Galentine’s Day. Singles Awareness Day. Valentine’s Day. 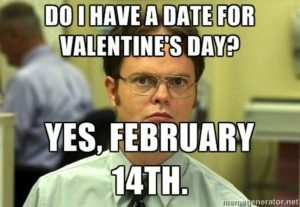 February 14th. Whatever you’re celebrating, eat some cookies. Better yet, make them yo self. 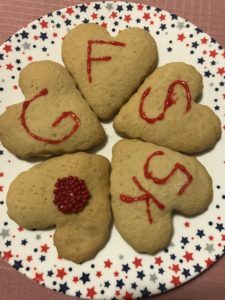 Need to make sugar cookies that are gluten-, dairy-, soy-, egg-, tree nut-, and nut-free? Keep reading. I gotchu. 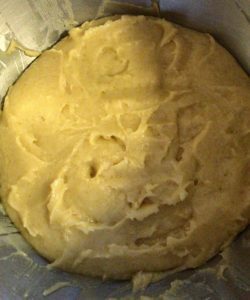 Mix sugar, eggs/egg replacement, shortening/coconut oil, and flavoring thoroughly. 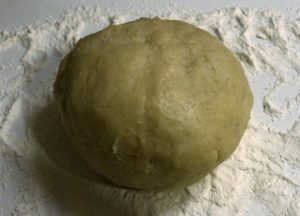 Combine dry ingredients; add gradually. 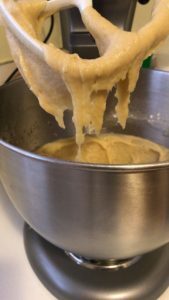 Blend well (dough will be pretty soft). Heat oven at 400 degrees. 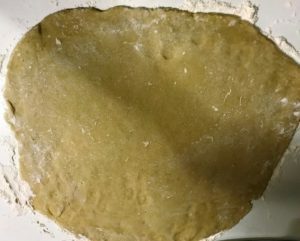 Flour surface and roll about 1/4 inch thick. 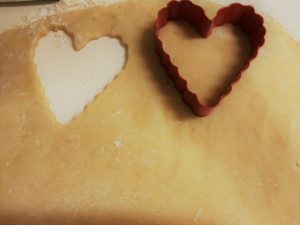 After cutting dough with cookies cutters, place on ungreased baking sheet. Bake 6-8 minutes or until cookies are golden brown. After stirring, add 2 additional cups of powdered sugar and 2 c of milk alternative. Let frosting sit for several hours before decorating cookies. Who wants to lick this? Pretty soon, this will be delicious cookies. We decided to skip making our own frosting. Instead we decorated with Wilton Sparkle Gel. Nikki pointed out that we should practice on the thinner cookies. This was a good idea as we were on the struggle bus for a few cookies. We also had sprinkles that we added to some cookies. Verdict: we like the sugar cookies. I would try adding more vanilla flavoring to add more flavor. 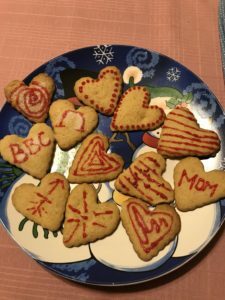 We struggled with designs on some of our cookies. Almost don’t want to eat them. Almost. 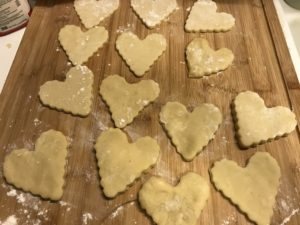 If you liked this recipe, you might also like Snickerdoodle cookies and a Guide to Dietary-Restriction Friendly cookies. 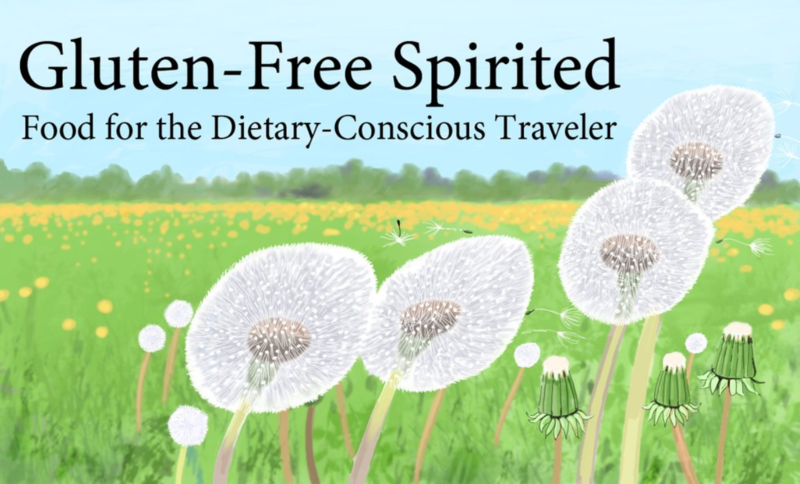 You can receive a FREE Beginners Guide to Dietary-Restriction Friendly Essentials checklist when you sign up for my mailing list (no spam, ever). In the words of Care Bears, sharing is caring. 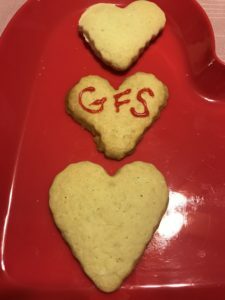 Follow GFS on social media (buttons below). I like sugar cookies. Surely it’s a rare treat but it is very tasty! I don’t eat sugar cookies very often, but I love them! HeeeeeeHaaaaa, well done you guys!!! I’m so happy that you reached your target. Congrats that’s seriously so awesome 😀 Sorry to hear about Nikki’s back though, hopefully those cookies worked their magic and helped her feel a little better. Thanks so much, Michelle! I really appreciate it. 🙂 The cookies have definitely helped. LOL She’s doing much better, thanks! Wow, these look delicious and always good to have a Mum ready to help out! Congrats on achieving the goal of target views before your blogaversary of GFS and celebrating this sweet accomplishment with homemade sugar candies decorated with sparkles. Superb idea. I have just given up sugar (for life, hopefully) … It is going to be SOO hard. These look good though! These look so good and I really love your decorations! I may have to try these for myself. Also I can so relate to the picture you added, haha! Thanks, Ithfifi! There were 24 cookies and we were like “what other decorations are there?” lol Hahaha it’s accurate for me as well. 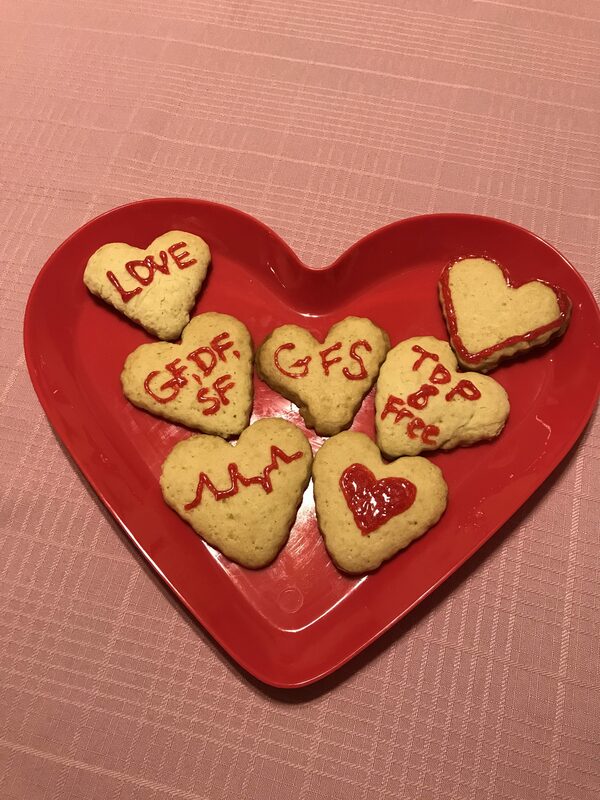 What’s not to love about cookies! I don’t celebrate Valentine’s day at all – but I don’t need a celebration to enjoy some healthier cookies. These Homemade Sugar Cookies looks delightful. I bet my kids will really love this. Will absolutely give this recipe a try and give some twist of sprinkles. The sprinkles will definitely be a good addition, Shubhada. Let me know how they turn out! 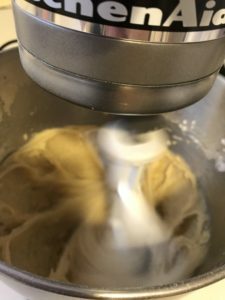 I have the hardest time making successful cookies from scratch! Even without all the specifications of your cookies!! But these look really good!! I hope Nikki is feeling better. I have been experiencing muscles spasms this week. This was the worst experience yet. I have to go back to work tomorrow and I’m still in so much pain. Your recipe is something I would love to try with my husband and son for Valentine’s Day. We made cookies for Christmas and he loved it. Kesha, thank you from both of us. Oh wow, that’s rough. Hope you’re feeling better as well. Let me know if you make them & what you think! I hope that Nikki feels better! Thank you from both of us, Flora. She’s doing much better. Let me know if you make them and what the verdict is! The cookies look delicious! I’m sure they tasty equally good! I’m glad Nikki is already feeling better and Congratulations on reaching your milestone! !